Premium locations Wireless Zone® store for sale in MA. 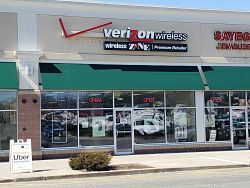 This Wireless Zone® store is a turn-key opportunity with everything in place for a motivated buyer to take over and start doing business right away. There is a loyal customer base with repeat business and experienced staff in place. Owner is selling as they wish to concentrate on other business activities. To find out more about this Wireless Zone locations for sale please fill out the form below and submit.